Airtel double data browsing bundle is a bonus plan or promo from Airtel mobile Nigeria just like MTN double data that gives its subscribers double the volume of data for the price of one for six (6) months. They call it "Airtel Ramadan bundle", and it is still working till date but only for selected SIMs. 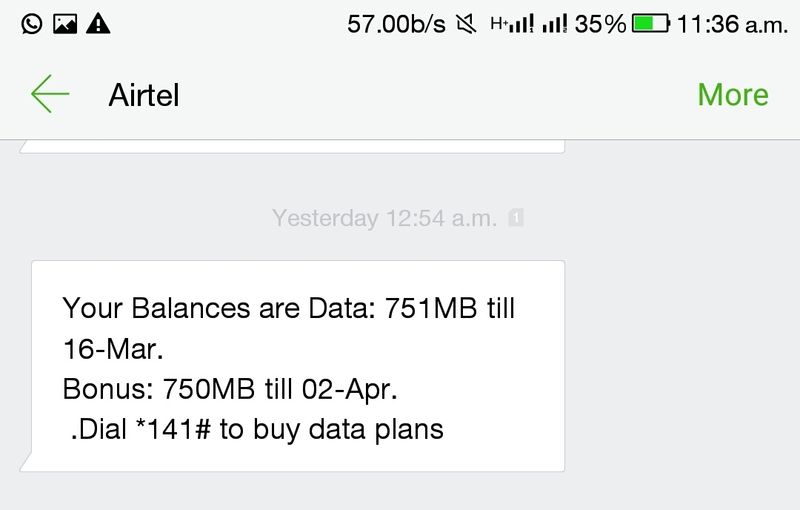 This Airtel double data plan can be used on PC, your android device, iPhone and any other device that uses data. ✓ N500 gives you 750MB for 14days plus extra 750MB valid for 30days. That's a total of 1.5GB. ✓ N1000 gives you 3GB, valid for 30 days. Airtime, minimum of N550 - if you want to subscribe to 3GB you should have a minimum Airtel account balance of N1050 or N2050 for 7GB. Note : it is advisable to go for the N500 to test it out if it works for your Airtel SIM or not. Note , this will expire by 12 midnight that same day, so make sure you send STOP to 141 after successfully subscription to the daily plan to avoid auto renewal the following day. Dear subscriber, Would you like to upgrade your Entry plan to Ramadan Bundle ,Send Yes to 141 to purchase the Ramadan Bundle plan. ✓ Send Yes to 141 by 11 pm , wether you get the message or not. 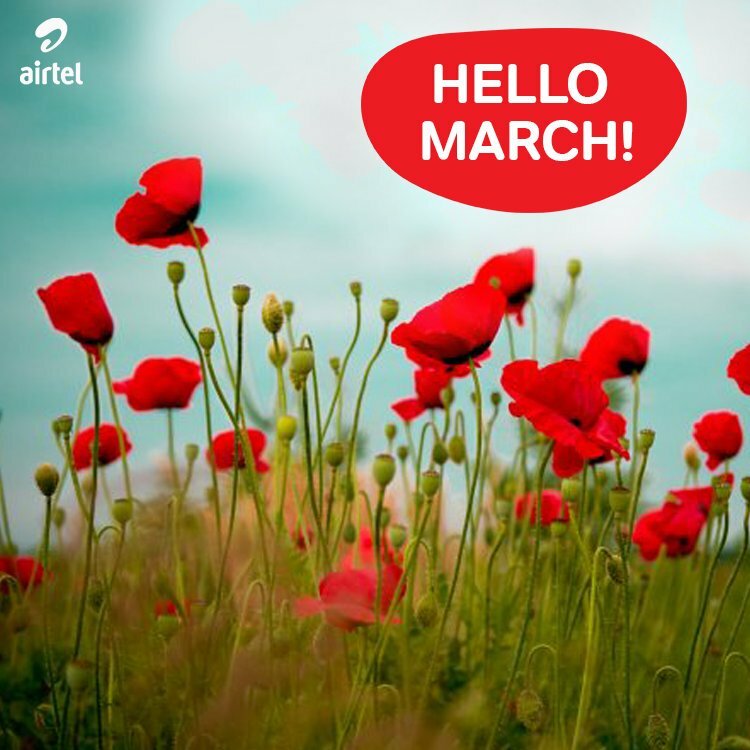 ✓ Then before 12 Midnight, just dail *141# and subscribe to any data plan of your choice to get double data from Airtel. 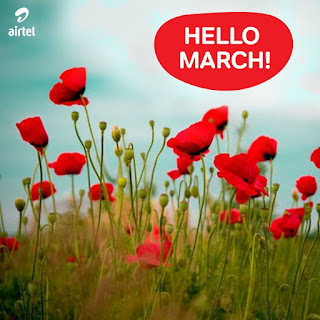 Another method to know if you are qualified for Airtel double data is by dailing the code *144#. 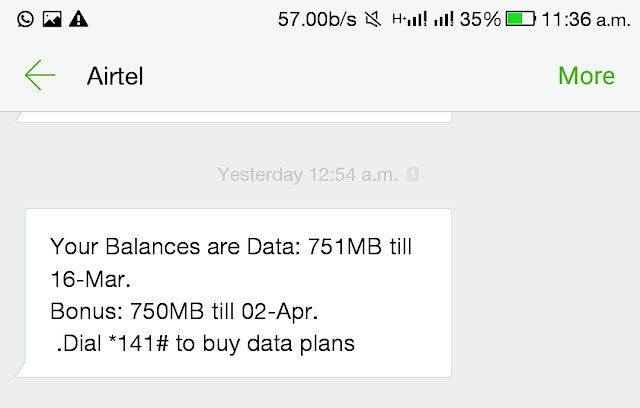 But I have seen someone who despite not eligible after dailing the code, was given double data after using the trick I just shared with you guys.